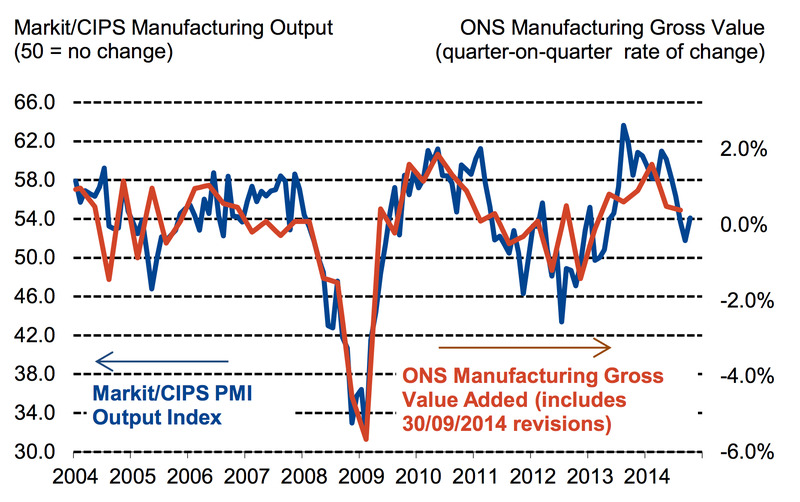 The UK’s manufacturing PMI is out for October, and at 53.2 it’s the highest in three months. 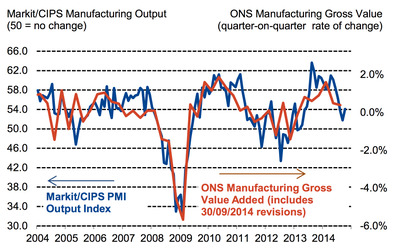 The PMI is a survey of manufacturing executives that asks them whether business is looking good or bad. The scale is 0-100, and a 50 rating is neutral, meaning an equal balance between those with positive or negative outlooks. That’s well above the neutral 50 mark, but still considerably lower than the very high figures the UK regularly saw when the recovery was emerging, late in 2013 and earlier this year.